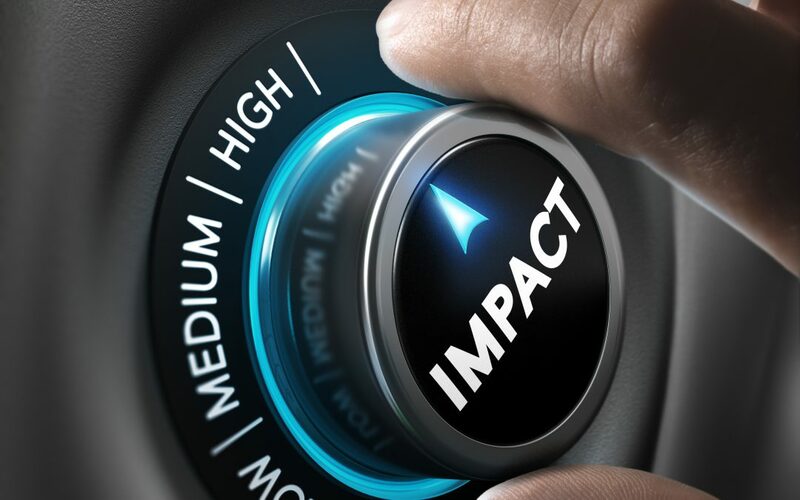 Are You Planning To Make An Impact As A Leader In 2019? I love a challenge. That’s one reason why for the past 30 years I’ve taken on CEO roles that many would avoid. Thankfully, in all situations we’ve been able to achieve remarkable results as a team. I attribute a lot of this success to “planning”, and the opportunities for communication that good planning creates. The companies I’ve worked with have all had one thing in common. They needed a leader who would make an impact – and make it fast. In my first week on one job we were blindsided by the news that we couldn’t make payroll. In another role it was essential to reduce our debt by $1 Billion to make the business in a sunset industry viable, and to save 700 jobs. And, as a consultant I was called on to add an extra $195m to the bottom line in only a 6 month timeframe. My career has been a vertical learning curve, and one thing I’ve learnt is that if you intend to make any significant improvement to business performance – you need a plan. I’ve also learnt that planning, and implementing a plan doesn’t need to be hard, expensive, or time consuming – and in this article I’ll share with you what’s worked brilliantly for my colleagues and I. The one thing that I think separates the leaders who can successfully lead significant business improvement programmes of any kind in any sized business, from those who can’t; is their approach to planning. In fact, it’s frequently the lack of planning that results in organisations being in crisis situations to begin with. You see, the lack of clear direction in any environment, leads to people just going to their work each day and dealing with whatever comes along. That’s called “reacting”, and reacting rarely moves an organisation forward. The reality is that most businesses don’t have a plan. Plus, of the 15% that do; more than 70% fail to communicate that plan to their people. That means that more than 90 per cent of people turn up to work every day with no understanding of what’s important. So they guess! Imagine a sports team with no attacking plan or defensive strategy. They just turn up and react to whatever the other team throws at them. They might win the odd game due to individual brilliance, but sustained success will be impossible. To be fair – I can understand why planning is either not done, or done so poorly. There’s been an entire industry devoted to making it unnecessarily time consuming, costly, and over-complicated for years. In the majority of cases “plans” just fail to materialise – they simply don’t get written. Those organisations simply react to what’s going on around them every day, and are swept along in the process. In other cases, plans are created, only to be lost in the bowels of a filing cabinet where they remain unsighted until a year or so later when they re-emerge for a brief run as the template for a new edition. One that will in all likelihood meet the same fate. At other times a plan will fail, not because the plan itself is deficient, but because the leader, whose job it is to implement the plan, lacks the managerial stamina or competency to do so properly. If Most Plans Fail – Why Bother? If most of those plans that are developed fail, you might well say “Well, why bother?” The answer to that is quite simple. In my experience, the business leaders and managers who do have a very clear view of what they’re doing and why are doing it, are the ones that are the most successful. If you can develop a well-targeted business plan that suits the needs of your business, communicate it well to your people and customers, and maintain a relentless focus on achieving the goals you set for yourself, your chances of being successful will dramatically increase. What’s more, you will be more successful than you anticipated. Despite this, most businesses don’t have plans, and of those that do, the majority fail. Why Do Business Plans Fail? The reasons for the failure of business plans are as broad and varied as the plans themselves. However, from what I have seen, there are some common threads across those failed plans. The planning process wasn’t taken seriously, or given the appropriate level of time and resourcing. This is often the case in a corporate environment where the divisional plan is being done at the request of “someone upstairs”. Alternatively, in a mid-sized business the same indifferent attitude prevails when the plan is requested by the bankers or a couple of major shareholders, and management treat it as something unimportant. The plan’s expectations are unrealistic and unachievable. This usually comes from a “gung ho” approach to the planning and budgeting in the first place, and results from a lack of good source information or research going into the planning process from the outset. The people responsible for achieving the key objectives and goals set forth in the plan had no input into developing those plans. As a result they are disengaged in regards to the plan’s objectives, and regard many of the goals as unachievable. The plan has not been communicated to the people within the organisation. The result of this is that people don’t know what the plan is, and are unable to deliver against it. Remuneration and bonus structures within the business are not aligned to the deliverables within the plan. In other words, the key objectives within the plan do not relate to the KPIs (key performance indicators) that drive remuneration within the business. Owners of most small businesses or family businesses put more effort into planning a fishing trip than they do their business. But it doesn’t matter how large or small your business is, your ability to prepare a well thought out and accurately targeted business plan is vitally important. And yet, most leaders and managers are struggling to make planning a meaningful process, an effective tool and a means by which to deliver successful business outcomes. A well-constructed and articulated business plan is a road map. It presents a clear picture of where you are trying to head to, and what steps you need to take to get your organisation to its ultimate desired destination. It also provides useful checkpoints, or progress markers along the way. A good business plan, well communicated, will have a broad audience. Your people, customers, directors, shareholders, bankers – indeed all of your most important stakeholders – need you to have a plan. Because that’s how you will do the best job for them, and it’s how everyone, yourself included, can monitor progress. But to be successful, the grand plan must be broken down into components that can be communicated and operationally implemented at every level every day. There is one other important factor that, in my experience, inhibits the planning process. Many leaders simply don’t know where or how to start building or writing a business plan. Successful business planning hinges on the key question of “What are you trying to achieve?” ‘Clarity of purpose’ is, central to being able to get your people and other stakeholders supporting you, your initiatives, and the outlook you have for the organisation. Not so long ago, I spent time with the new shareholders of a recently acquired medium-sized business. Having owned the business for a few months, they now understood what they had purchased and some of the issues and opportunities they’d inherited. They had, unlike some in a similar position, a basic budget and business plan. I sensed however, that the documents had been prepared in order to satisfy their banker’s needs rather than the purpose being to deliver a coherent plan to enable the enterprise to grow and develop. In fact, their plan didn’t really offer them the information or the analysis they needed to run the business better. Situations like this occur often. Too many business plans are simply a SWOT analysis accompanied by a list of things to do. People run companies of all sizes without a plan to help them take their business to where they want to go. In most cases, unfortunately, managers don’t know where they want to go. In effect, those managers are turning up each day and guessing. I’m often asked to help organisations to develop their business plans. And I’m not one of the new age consultants who think that a plan can fit on one page. But equally, I like to keep it simple. To do that, I ask a lot of questions. The process helps me clearly establish the objectives and the business aspirations of the shareholders and senior executives. Good questions will also highlight where the issues are as well as where the opportunities might lie. Our reasons for being in business vary widely, almost to the point of everyone having a different rationale. Consequently, it can often take a lot of time to get everyone clear about what the key objectives are. And that’s okay. It’s worth taking the time because unanimous agreement about the answers to this question is so important that it will drive many other decisions that you’ll make in your business. As it does in so many aspects of leadership, clarity of purpose is the key to creating and implementing a successful planning regime. As the leader you may be a chief executive who’s accountable to a board of directors. At the other end of the scale, you may be a sole proprietor that relies on some help from your accountant. Elsewhere in between you may be running a team in someone else’s business. Irrespective of the size of the business, or the nature of your role, as the leader you must provide your team with clarity around the key things you want to achieve, and how that relates to key priorities within the business. Being clear about your core purpose and key objectives provides you with a backbone against which to measure your strengths and weaknesses, and ultimately to make decisions. It will help you to define the type of people you need, what new products to stock, or the location of your premises. It will help you to determine what’s going well, and what’s not. As part of the planning process you should look for areas where the business needs to improve, or identify aspects of the business that are being done poorly. Look for opportunities that you’re not taking full advantage of, and try to spot risks that might impact your operation in the near future. Leaders must take ownership of the key elements of the plan and lead by example. Clearly show the importance of each issue you’re addressing and openly support the initiatives taken to do so. Every business needs a plan. Every leader needs a plan. You need to develop your own plan. An idea is not a plan, and neither is a goal that doesn’t specify the actions that need to be taken. A SWOT analysis or a to-do list isn’t a plan either. A business plan highlights the key objectives of the organisation over a period of time. Within that plan should be a set series of priorities. And each of those priorities should have its own series of project plans. Of the business plans that do exist, most fail due to poor execution. So your approach to planning has to take that risk of failure away. I’ve found that the execution of a plan via a series of project plans, all delivered by the people who are best positioned to successfully manage each component of the plan, has the greatest chances of success and high engagement. My favourite tool to facilitate this is something I call the OPIAT. My approach to planning provides a way to keep everyone, particularly the leaders and managers tuned into the organisations overall goals. I like to be very specific about each particular operational priority and clearly identify whose job it is to lead and be responsible for each and every action required to deliver the components of the plan. When I run my Masterclass for Leaders workshops, CEO Planning Days, or in-house planning days – we always spend time giving participants the OPIAT business planning template, and showing them how to use it, and how to apply it to their own situation. It’s something that participants rave about as being one of the most valuable components of the sessions. So, what’s an OPIAT? – It’s a One Page Issues and Actions Template. Issues and opportunities. Within each strategic priority, you will then develop a list of issues and opportunities that relate to that headline and your need to improve in that area. Project plans. For each of the issues or opportunities you have highlighted, you should then develop a project plan using the OPIAT. Each project plan will be one to two (maximum) pages long and outline the clear plan that you are going to implement in order to improve performance in that area. The OPIAT ensures that you have a live document that is updated at every monthly meeting, with clear accountability or responsibility, and an agreed plan of activity. A comprehensive business improvement programme will typically require anywhere between 20 and 50 OPIATs. The entire $195m business turnaround consulting project I mentioned earlier was captured on just 51, one page OPIATs. When I was CEO at Yellow Pages NZ our entire plan consisted of just 45. I’ve found this approach to be much better than the book sized business plans that nobody reads, let alone actions. The step by step description of this simple but effective planning process is documented in “The Power Of Planning” chapter in my book “The Best Leaders Don’t Shout”. The chapter includes the OPIAT business planning template, examples, case studies, and even the questions to ask to help you build your own powerful plan for business improvement. You can download the chapter here. If you’re planning to shift the dial in your organisation this year – you’re going to need a plan. This three step approach to planning transformed my ability to lead effectively, and it’s certainly helped us to achieve some ridiculously ambitious goals without burning out. Along the way we also discovered some unintended benefits, such as the process contributing to a more creative and collaborative culture, and developing high performing and highly engaged teams. On a more personal note, it’s helped me as a leader to feel more in control. It meant I could keep my finger on the pulse without stressing, becoming overwhelmed, or drifting off the path. So, I encourage you to become a better planner. It’s part of being a better leader. Thanks for reading, and please do add a comment below to let us know how you’re getting on with your plan, or if you have any questions. To get started remember to download the chapter, and stay in touch 😊.